At Brixey & Meyer, giving back to the communites in which we serve is in our DNA. Through our Community Outreach Foundation, our team donates our time and talents to many organizations that we love. Because of this, it is such an honor to be an honoree in the Dayton Business Journal's 2017 Business of the Year community supporter category. 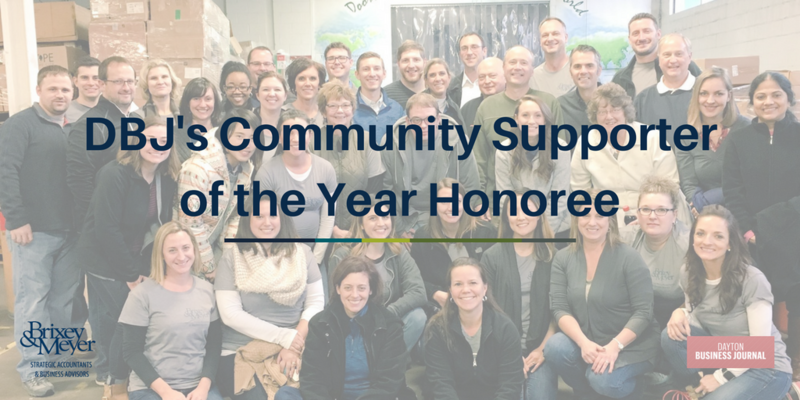 In the Business of the Year spotlight, which features B&M as a community supporter, Doug Meyer explains that our philanthropy efforts as a team is part of the company's continued expansion he's been most pleased to see. "As for the future of the firm, as it grows it will continue to promote it's culture of giving back. That helps it's people grow, and gives them a sense of mission in what they do." If you are a subscriber to DBJ and missed the full article, you can check it out HERE.